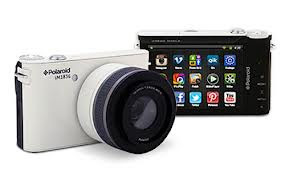 Polaroid unveiled its first Android-powered 18MP iM1836 compact camera. iM1836 features include a 3.5 inch touchscreen LCD display, WiFi, capability to record 1080p HD video, a 10-30mm f/3.0-5.6 lens, a pop-up flash, and Android 4.1 "Jelly Bean" OS. The camera is expected to be available in the first quarter of 2013 and is priced at around $350. Sakar International, Inc. is a leading provider of consumer electronics and accessories. With a rich heritage of technology innovation since 1977, Sakar has developed a global presence by consistently evolving alongside technology to develop on-trend, cutting edge products. Sakar licenses over forty major entertainment brands and has maintained a diverse portfolio of product offerings, including: digital cameras, video recorders, karaoke machines and small appliances, along with audio, tablet, camera, smartphone and computer accessories. Sakar acquired the Vivitar brand in 2008 and has since launched a full line of photographic, optic and related accessories. Sakar is headquartered in Edison, New Jersey, with additional offices in the United Kingdom, Canada, Latin America, Hong Kong and China.